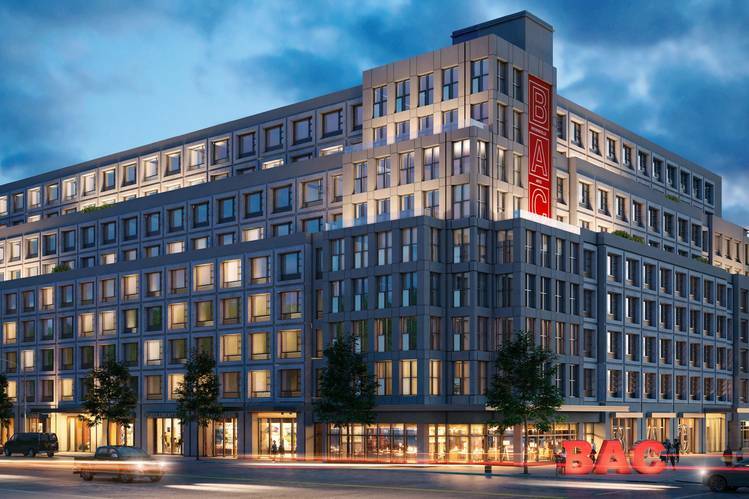 Located along Rockaway Avenue and Chester Street, between East New York Avenue a­­­­­­nd Pitkin Avenue, this project will be led by a development team that includes Blue Sea Development Company, Gilbane Development Company and Artspace Projects. 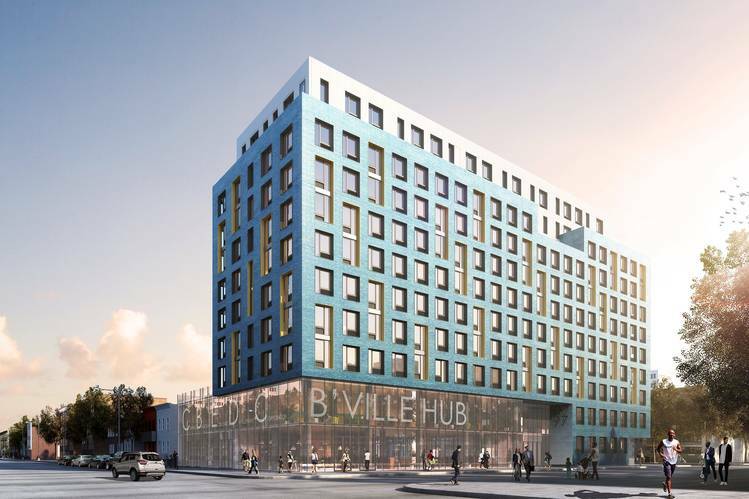 The development will contain approximately 230 units of affordable housing that will serve a range of incomes including extremely low-income and formerly homeless households. The building will feature 24,000 square feet of arts and culture space that will be the home of a dance and performing arts school run by Purelements, a music school run by Brooklyn Music School, and a media lab and arts center run by BRIC. The building will also feature a collaborative black box theater that will accommodate a range of uses, including theater, dance, music and film. The theater will provide continuous cultural programming and will be accessible to the community and general public for events. The community identified the need for cultural space that will increase access and opportunities for neighborhood residents and nurture Brownsville’s artistic community. HPD partnered with the NYC Department of Cultural Affairs to review proposals for this site. Located at the intersection of Christopher Avenue and Glenmore Avenue, his project will be led by a development team that includes the African American Planning Commission, Inc. (AAPC), Brisa Builders, and Lemle & Wolff. The development will include approximately 230 affordable homes serving a range of incomes and populations, including extremely low-income households, formerly homeless households and low-income seniors. It will feature 20,000 square feet of new commercial and community space that will be home to the Brooklyn Cooperative Federal Credit Union, as well as a sit-down restaurant, and salon run by a locally-owned beauty products company. The site will also feature space for the Central Brooklyn Economic Development Corporation (CBEDC), [Classic Soul Radio station] and other partners who will expand their programming for young entrepreneurs and provide services for small businesses and nonprofits. Ville-luminate the Block, a project created and led by Brownsville youth with support from the Brownsville Community Justice Center, The Brownsville Partnership, and Peoples Culture—is designing and installing a 3D projection system in Osborn Plaza on the Belmont Avenue Corridor. Brownsville youth are adapting new technologies, coding, and installing an interactive projection system responsive to sensor-monitored pedestrian activity. When an individual walks within a certain proximity to the projection or when a certain number of individuals enter the plaza, it will shift brightness, color, or imagery. The project will serve as an adaptable and accessible platform responsive to the corridor’s needs—showcasing community created art and projects. The installation will debut on August 25, 2018. “I am happy to celebrate the anniversary of an investment in the community like the Brownsville Plan. Brownsville residents deserve access to amenities we see in other neighborhoods across Brooklyn. Affordable housing is a priority, and a right. Only in working together with the community do we achieve long lasting positive change,” said New York State Senator Roxanne J. Persaud (19th District). “As a lifelong resident of Brownsville, I have dreamed of my beloved neighborhood once again becoming a safe and desirable community for its families and a destination attraction for all. About a decade ago, residents began to draft a plan leading to the 100 Days Brownsville initiative in 2014. Today, I am proud to see those plans finalize with the selection of developers and community based partners that will create not only newly constructed affordable housing, but a cultural arts attraction and urban tech hub that will foster future partnerships. With these selections, today is a proud day for Brownsville and I look forward to the process ahead leading to meaningful ribbon cuttings,” said New York City Council Member Alicka Ampry-Samuel (District 41). “The Brownsville community worked hard to come up with a comprehensive plan that serves the needs of the community. I am excited to see the promises of the plan being delivered, such as today’s announcement of 880 units of 100% affordable housing and job and small business opportunities. 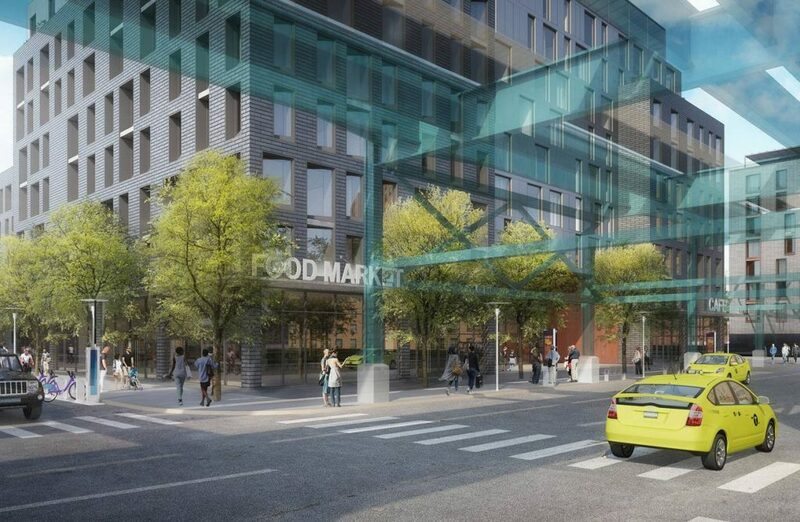 The Glenmore Manor site in my district will bring not only sorely-needed affordable housing, but also, good paying jobs led by an MWBE with retail and a community space,” said New York City Council Member Rafael Espinal (District 37). 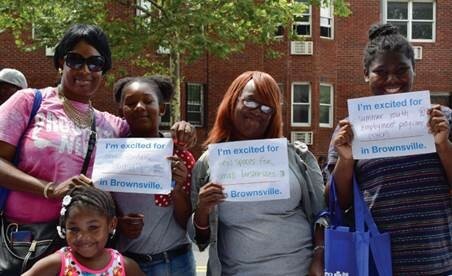 “It was extremely important that the voice of the community be heard and prioritized in the creation and implementation of the Brownsville Plan; and I’m excited that the community will see their advocacy memorialized on these sites that were vacant for too long, but now will serve the community with housing and quality of life services,” said Brooklyn Community Board 16 Chair Genese Morgan. “Catholic Charities Progress of Peoples Development Corporation, Community Solutions, and Radson Development are thrilled to be selected to provide more than 400 units of safe and quality affordable housing in the Brownsville community. Working with Magnusson Architecture and Planning, we are excited to build homes where multiple generations of New Yorkers can live healthy and happy lives, without worrying about rent burden. Livonia 4 will provide quality social services, recreational facilities, fresh food and produce, green space, and other resources which can be enjoyed by those living on the Livonia Avenue corridor and throughout Brownsville,” said the Livonia 4 Development Team. The Brownsville Partnership engages residents and partner organizations from many sectors in measurably improving the health, safety, and economic prosperity of the Brownsville neighborhood of Brooklyn. The Partnership builds on Brownsville’s considerable strengths to find solutions to its most pressing challenges. It is coordinated by Community Solutions, a nonprofit that works nationally to help communities end homelessness and change the conditions that make people vulnerable to future homelessness. Anyways Here’s The Thing is a Brooklyn, NY based creative technology studio with a focus on user experience and interaction design. From gestural to body movements to traditional tangible mediums, Anyways’ work has utilized multiple forms of control to provide sensory experiences that span from simple LEDs to video walls to AR/VR.